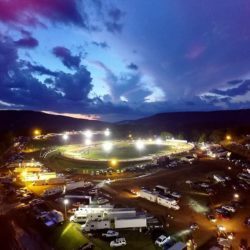 Have you heard the latest buzz from Northeast Arkansas? White’s Mercantile recently opened in downtown Wilson. 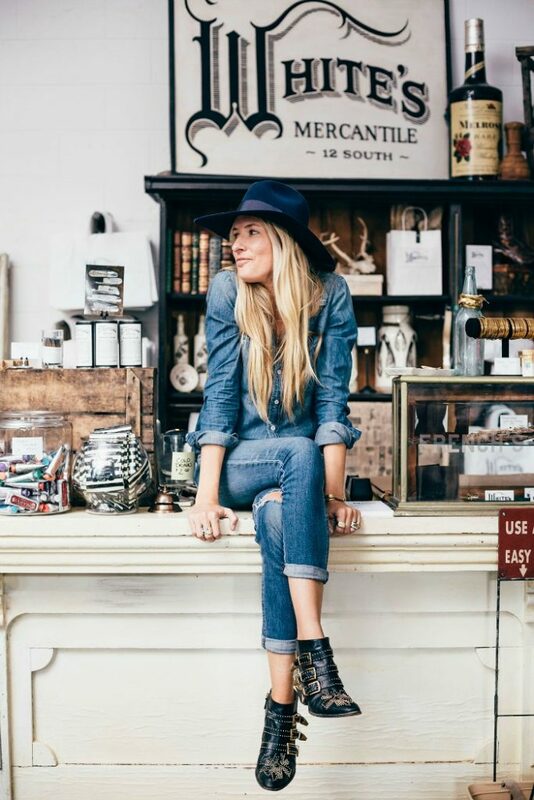 White’s Mercantile is the wildly popular creation of country singer Holly Williams. Wilson marks the store’s third location. The original is in Nashville. The second location in Franklin, Tennessee opened in 2015. 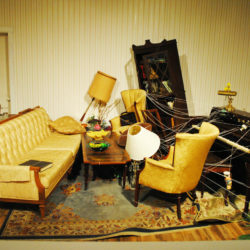 Williams was drawn to Wilson not only because of the town’s cotton farming roots and proximity to Memphis but also because of the exciting cultural happenings in the area. 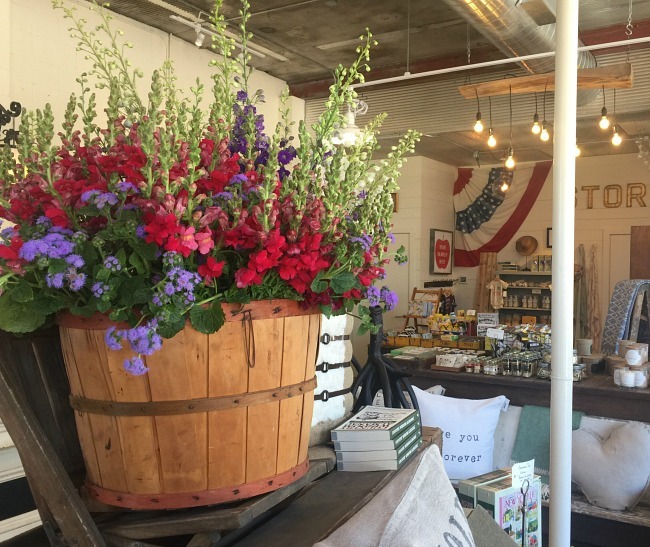 Named after her maternal grandparents, Warren and June White, Williams describes White’s Mercantile as “a general store for the modern tastemaker.” I would go one step further and describe it as an experience. In White’s, Williams has curated a one-stop shop filled with southern items as distinctive as the Delta itself. From floor to ceiling, each object found within the store exudes an understated southern charm and a personal story connecting it to Williams. Inventory includes apothecary items, clothing for adults and babies, weekender bags, cocktail mixes, cookbooks, and goodies for your pet. 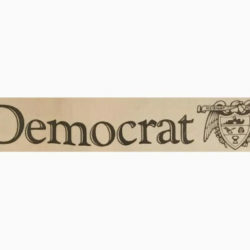 Local Arkansas artisans are well represented, too. 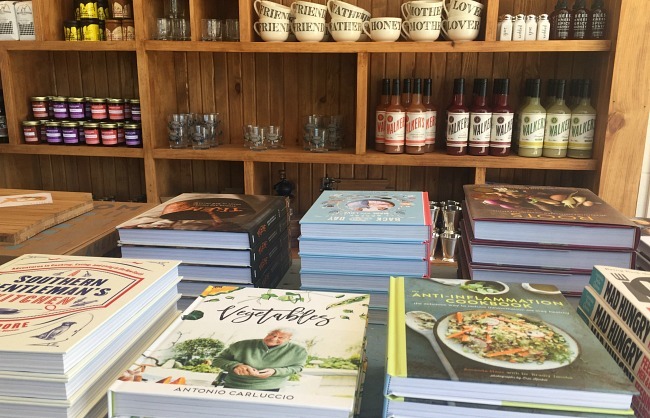 White’s carries bone-handled knives from Mollyjogger, paper goods from Gingiber, hand-turned cocktail muddlers made by Wilson Café’s Chef Joe Cartwright, and MORE. After suffering a severe auto accident in 2006, Williams founded White’s Mercantile as a backup plan for her music career. She faced multiple surgeries, rehabilitation, and the possible end to touring. Fortunately, after a long road and over 30 surgeries, she recovered. Today, both her music and retail endeavors are flourishing. Arkansas is the latest to benefit from her talent. In a way, merchandising has always been in her blood. White’s maternal great-grandfather ran a general store in Louisiana once upon a time. Of course, music flows through her blood, too. 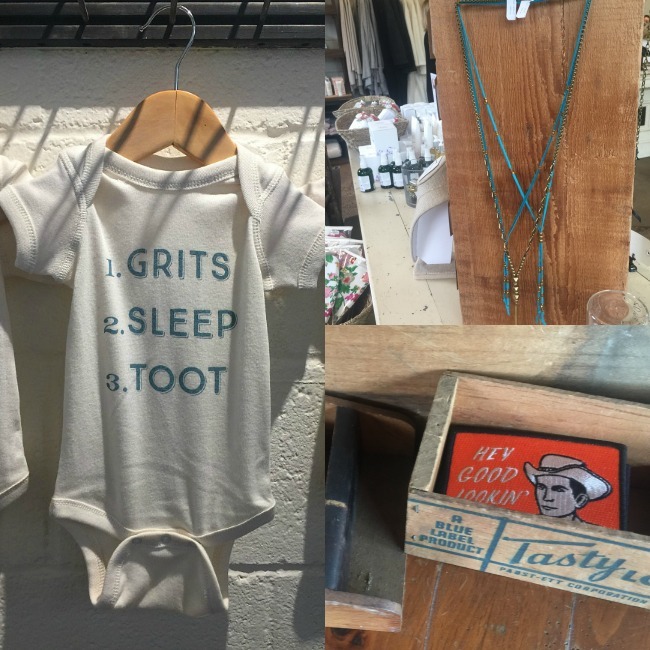 Her dad is none other than Hank Williams, Jr.
Perhaps the best way to describe White’s Mercantile is to explain what it’s not. It’s not typical. On tidy shelves, you’ll find nothing predictable or cliché. Racks aren’t stuffed with clothing in every size and color imaginable. The long wooden tables will never be piled with the latest brand name anything. Instead, you may very well discover that single, fantastic find, something that will instantly feel like an heirloom to you and your family. Or, you may discover a candle aroma like no other. And take it from me, the gigantic canister filled with individually wrapped taffy? Buy a heaping bag of it. Otherwise, days later you’ll be sitting at home wishing you had done exactly that. White’s occupies the former Wilson gas station building, a stand-alone structure on Highway 61, also known as the Blues Highway and the Great River Road. While the space has been revamped and refitted, meticulous care was given to honor the building’s original purpose. And the store seems ideally situated in Wilson. 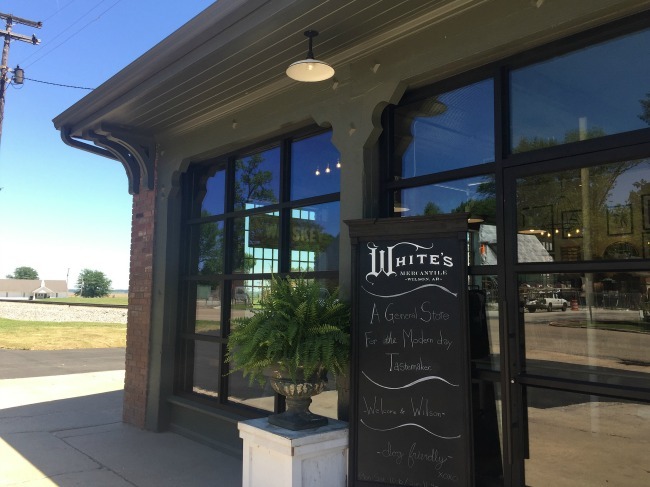 White’s is a “can’t miss” destination offering hand-selected items that harmonize with the Delta landscape, its music, artisans and southern craftsmen. In the vein of other recent Wilson building renovations, every detail, no matter how slight, is scraped and polished and spiffed to perfection. 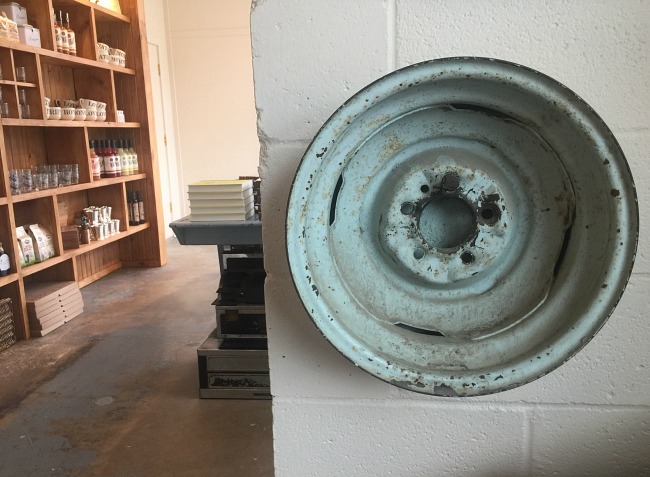 The pressed tin ceiling and worn concrete floors are original to the gas station. Black and white photographs from Wilson archives hang neatly all around, reflecting history of place. The vintage Coca-Cola refrigerator is a Wilson artifact. The northeast wall is covered floor to ceiling in wide-planked cypress reclaimed from polo barns that once stood on the Wilson mansion property (now the site of the Delta School). White’s Mercantile is as unique as Wilson. 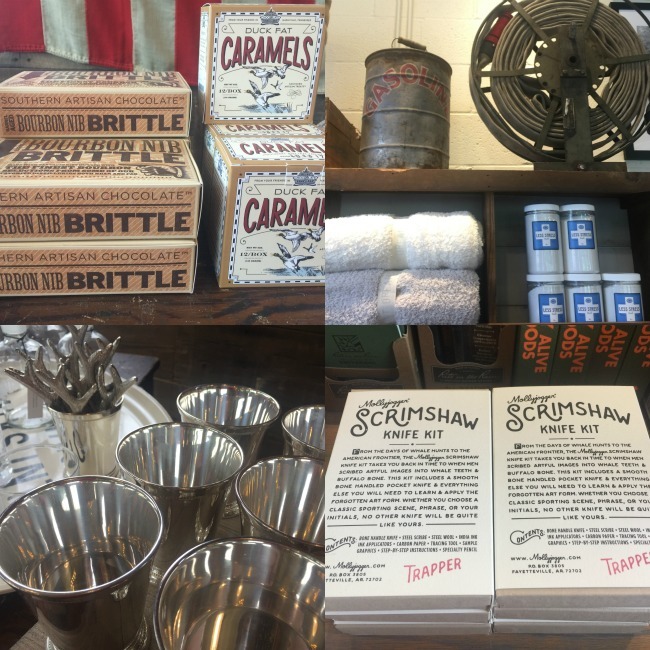 It’s not only a great place to find a thoughtful gift or a fun treat for yourself but as Wilson Mayor Becton Bell explained, “the addition of White’s Mercantile will help share the history and story of Wilson.” So yes, White’s Mercantile is kind of a big deal for Mississippi County. And it’s the perfect accompaniment to other recent Wilson happenings. 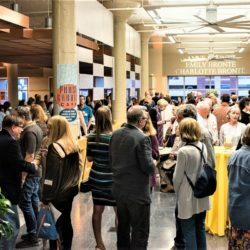 Stay up-to-date on Wilson happenings via Facebook, Instagram, and the Visit Wilson Blog. 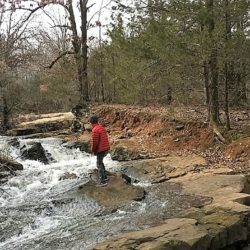 Arkansas Women Bloggers member member Talya Tate Boerner is a delta girl who grew up making mudpies on her family’s cotton farm in Northeast Arkansas. After thirty years in Texas, she has returned to the state she loves, settling in Northwest Arkansas. Talya draws inspiration from nature and appreciates the history behind food, family, places and objects. She blogs at Grace, Grits and Gardening and has been published in Arkansas Review, Front Porch and several on-line publications. Talya believes most any dish can be improved with a side of collard greens. Her debut novel, The Accidental Salvation of Gracie Lee, is available at Barnes & Noble, via Amazon, and at certain indie bookstores.